The idea to design directly in the browser was boosted after the concept of responsive web design had been pulled out. Now a lot of responsive websites have already been developed and new ones are created every single day but designing in the browser is still a controversial subject. Maybe in the word combination ‘web designer’ it is much more from ‘designer’ and creativity, passion, taste, and colors, rather than from ‘web coding’ with its analytics, order, logic, control, and realism. Or simply there is no decent alternative – really suitable and handy tools to design in the browsers? To find the answer we’ve collected a number of articles and posts on this debatable topic. 5). The debate: is it possible to develop the mockup of a website directly on the browser? Sean Brown is the editor of HTMLcut blog. Starting as a software developer (FORTRAN, Lisp, C, C++, HTML / CSS / JS), now he is wearing the hat of marketing and copywriting manager. Hate the idea to design in the browser. I need a perfect combination of Photoshop, a code editor and browser to start. 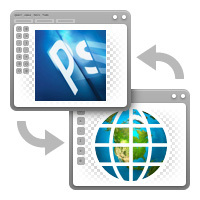 Or even more – Photoshop that can smoothly transform all my ideas into markup. I like image, shapes and forms, I don’t like tags and attributes, sorry. I DO believe that designing in the browser is the future of web design. NEVER! I remember about “never say never” but I can’t imagine designing WITHOUT Photoshop or GIMP. I need a canvas and pencils to create! Incredible post !!! The browser is where our vision really comes to life and, despite extensive research and prototyping, where our assumptions are truly tested. It’s a time for designer and developer to iterate on design ideas in a live environment together and to continue to refine what was started in static mockups.